Cable breakouts are used to protect terminated cable ends and multi-core cable crutches against moisture and contaminants in indoor enclosed electrical equipment (switchgear/transformer/cable box) or outdoor (pole mounted) cable termination applications on low voltage power networks, 600/1000V. 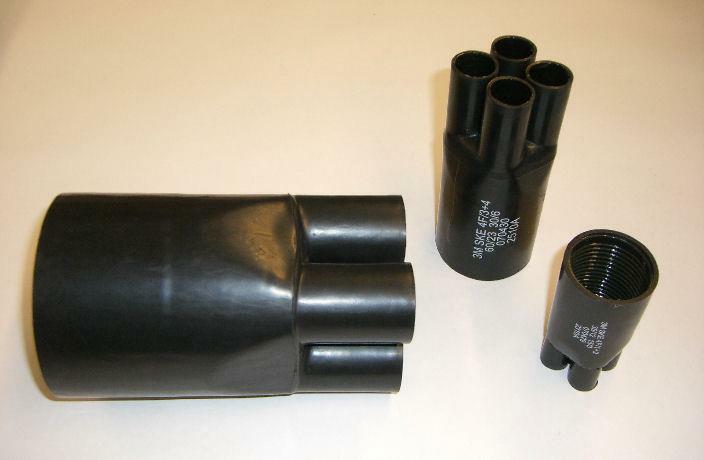 The below selection tables enable the specification of the correct cable breakouts manufactured by 3M Electrical using heat shrink technology to provide cable sealing, electrical insulation and mechanical protection to the cable crotch/crutch area on 3 and 4 core low voltage power cables and cable terminations, 600V1000V – the cable breakouts are installed using gas torches. 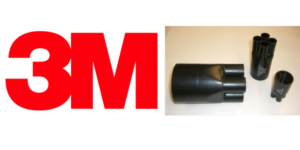 To provide electrical insulation and sealing to exposed cable ends against environmental conditions, including water ingress, see our range of cable caps manufactured in Cold Shrink technology. The following figures are average values, established to the best knowledge of 3M Electrical, but not to be used for specification purpose. ➡ Refer to the section below to review the complete range of Cable Breakouts.